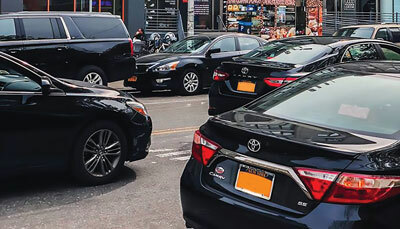 On August 14, 2018, New York City Mayor Bill de Blasio signed into law changes to local laws governing taxis and for-hire vehicles. Please be aware that two of these changes took effect on August 14, 2018. For Base Affirmations submitted BEFORE 5:00 PM, Tuesday August 14, 2018, the regular FHV vehicle licensing requirements apply. These vehicles are not required to be Wheelchair Accessible. For Base Affirmations submitted ON or AFTER 5:00 PM, Tuesday August 14, 2018, the one-year pause will apply. These vehicles must be Wheelchair Accessible. Bases can submit a Base Affirmation for a new FHV Wav Vehicle license beginning August 23, 2018, following changes the TLC will make as a result of the new law. Please note, in certain limited circumstances, TLC will issue a new FHV license to a non-accessible vehicle if the driver has a long term lease with the option to purchase the vehicle AND the driver has decided to purchase the vehicle. This exception will be decided on a case by case basis and drivers will be required to submit documents to TLC demonstrating that they are eligible for this exception. TLC will post this exception process for drivers on the TLC website before August 31, 2018. All other applicable fees, including vehicle inspection and commercial motor vehicle tax (CMVT) must still be paid. TLC is currently updating the online licensing system to reflect this change. Until LARS is updated, renewing FHV WAV vehicle licensees must continue to pay the license fee on LARS and TLC will issue a refund. Beginning on August 23, 2018, WAV vehicle owners will not be charged the license fee on LARS. WAV vehicle owners whose license will not expire before August 23, 2018 are encouraged to wait until August 23,2018 to reapply. Refunds will be issued for applications for a new or renewal WAV license submitted before 12:00 AM August 14, 2018.